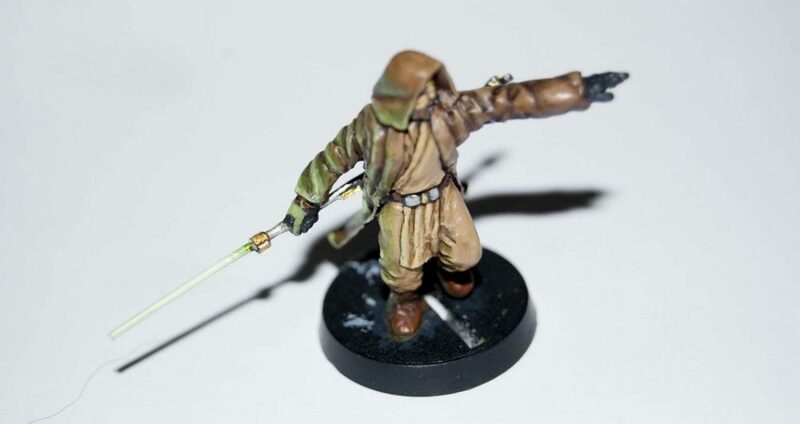 Painting: Star Wars miniature 28mm Jedi Knight – green stuff sculpture. 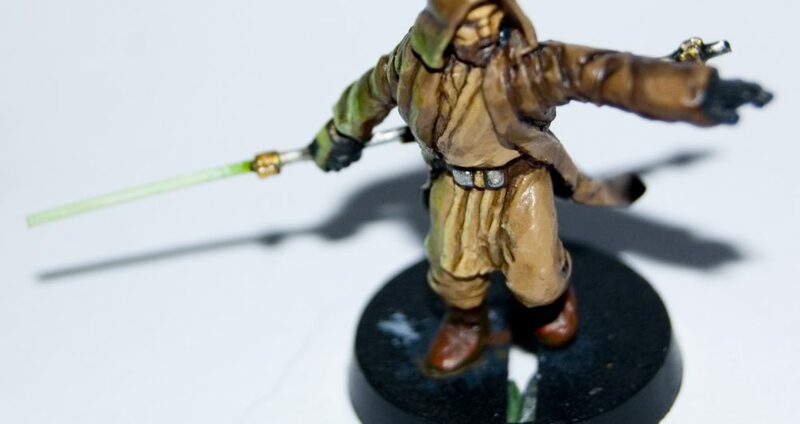 Tonight I took some time out of my long day of geeky shenanigans to finish off my earlier 28mm Star Wars miniature that I sculpted using green stuff a few weeks back. 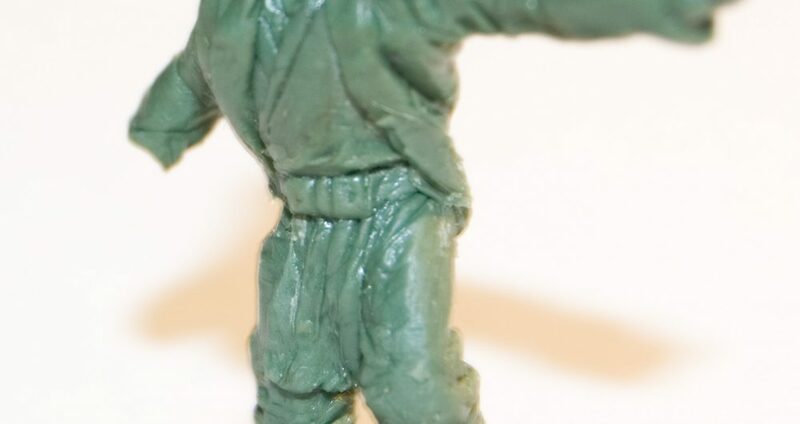 Which I wrote a tutorial on the basics of sculpting green stuff. 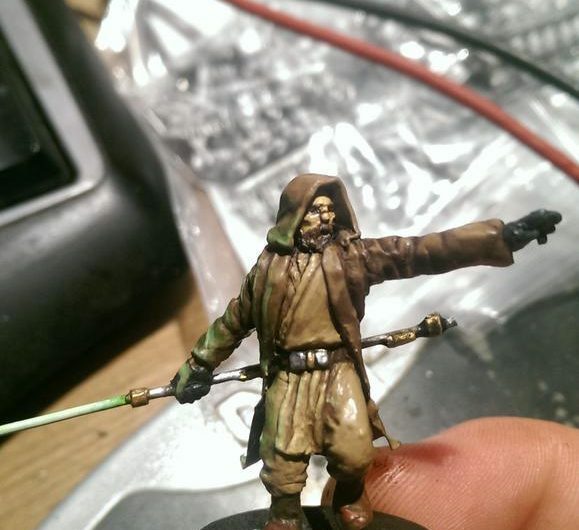 Obviously the next step was to paint him, which I could not be happier with. He looks great (even if I do say so myself) and no one else will have a miniature like him. 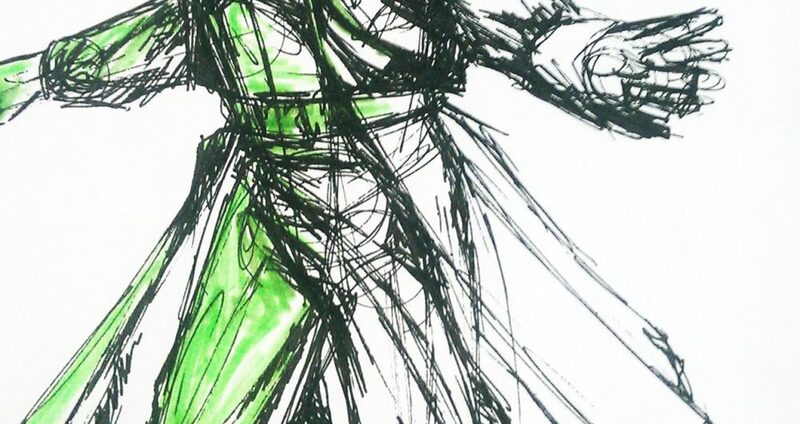 His pose is dynamic and his cloak gives him the impression of momentum. 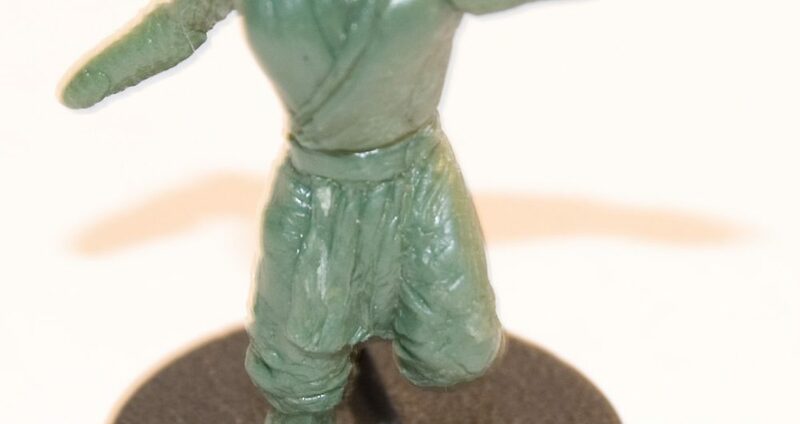 Really this is the refinement of my 15mm version which may soon get a second version built to use what I learned from the 28mm sculpt. In an ideal world I could scan him into a 3d scanner and print him out at 15mm, but I don’t have a spare £20,000 lying around to buy the equipment needed. 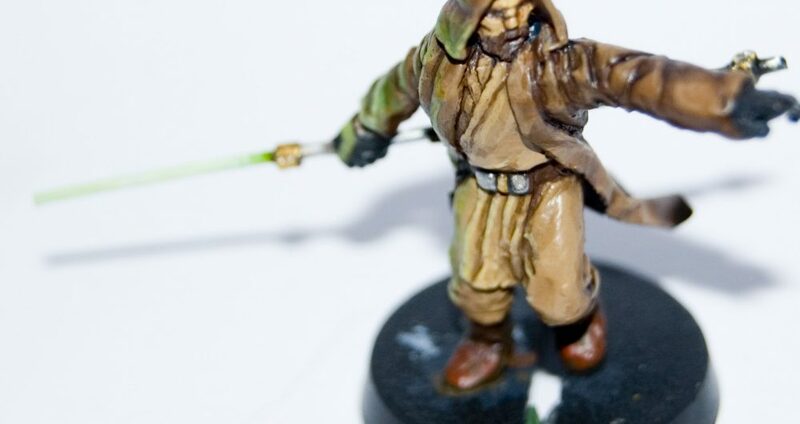 Now to create a Star Wars wargame! I am very happy with the results and thanks to a great idea I know what my next green stuff project is going to be. 28mm Dresden Files miniatures. 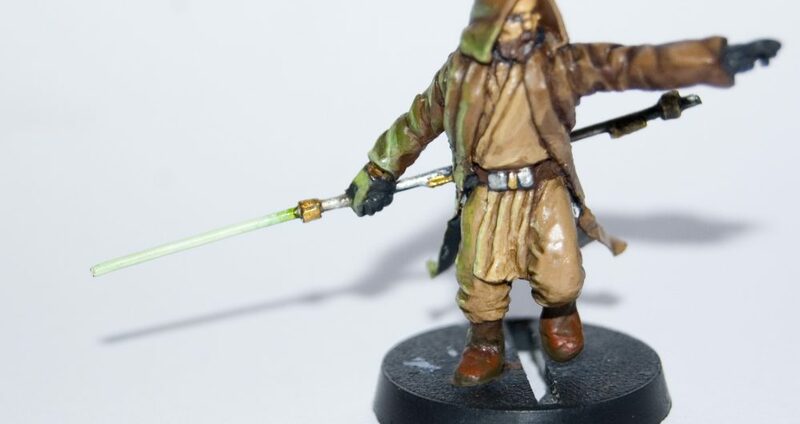 28mm Jedi Knight miniature. 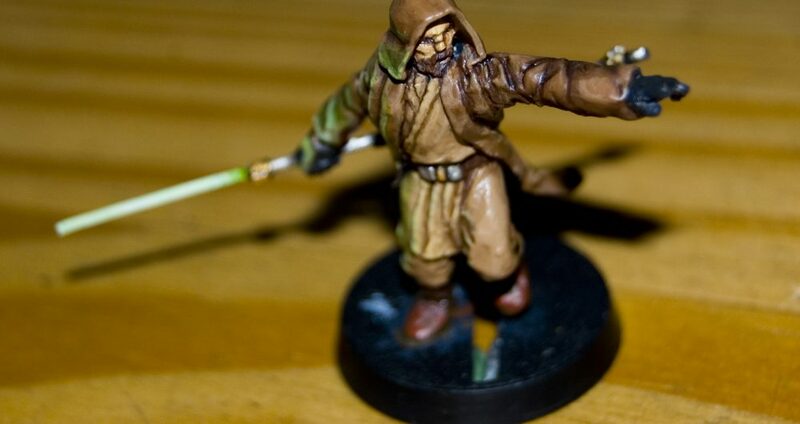 Star Wars wargame.